In early spring Purple seems to be a bit of a theme. I am pleased to say that after years of painstakingly planting Fritillaria Meleagris bulbs every autumn, and seeing nothing appear the following year, I was rewarded this year with the emergence of at least four decent looking plants with actual flowers. All were in the area of the garden that is wet for half the year and gloomy for all of it, so their arrival provided some much-needed sparkle. Of course they still lacked the intended impact that hundreds would have provided but I’ll live with four for now. The early sunshine back in March prompted me to think of visiting a garden other than my own, so Sissinghurst seemed the obvious choice. There is something completely wonderful about seeing a garden at the start of its year, when perennials are breaking the surface of the earth, and bulbs are one of the few providers of colour. I was greeted by literally thousands of Fritillaria Meleagris scattered throughout the meadow and nuttery in the perfect ratio of purple to white. Sadly I have only one of the white variety, so in honour of Vita, I consoled myself with the very beautiful Pulmonaria Sissinghurst White, which served very nicely as a companion to the Fritillaria. 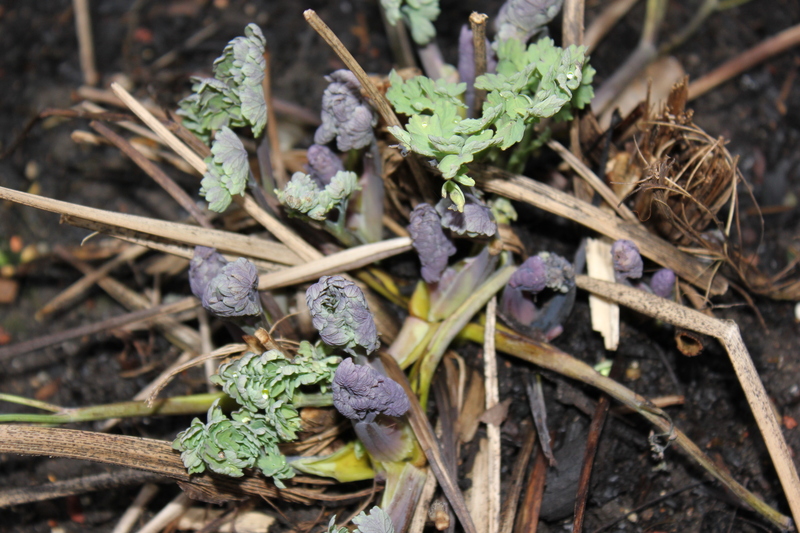 In addition to this welcome splash of Colour from the fritillaries, I notice the emerging shoots of a Thalictrum Flavum, one of the first plants I bought. Knowing nothing of gardening, I was drawn by the colour and delicacy of its leaf. Over the years it has become rather a troublesome thug in the garden, and I have divided it and moved it from place to place, not yet able to eject it. In high summer it is as tall as I am, its sulphurous yellow flowers held high on stems which are too tall to stake. Now all I see are its purple shoots forcing their way through last years dried and broken stems. I’ll leave them for now. 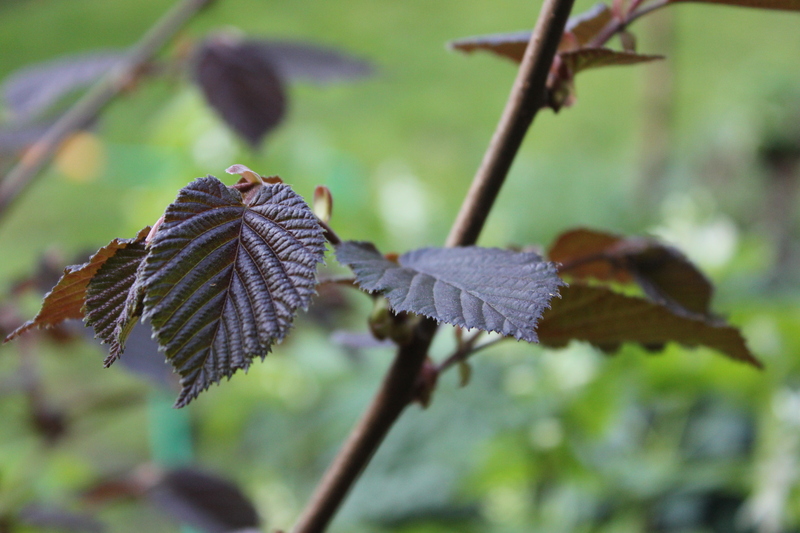 Their colour is matched by the emerging leaves of the purple hazel and a Cercidiphyllum. Together they look good.